Here Mortimer, paramour of Queen Isabella, and governor of the kingdom during the minority of Edward III, held his court, and it was here that he was surprised by the young king in 1330. Later, King Edward IV, from the good will he bore to Nottingham, very much enlarged the castle by various towers, so that 'in manner it seemed new'. This is a subterranean passage which formerly had six gates at various distances, and is 107 yards in length, seven feet high, and six feet wide. 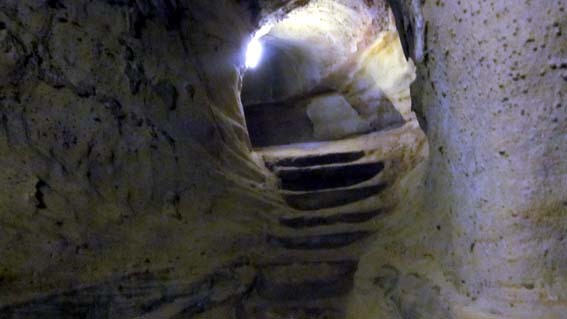 All the way down there are broad steps cut into the rock, and openings on either side to convey light into the passage, and to serve the soldiers to shoot their arrows through upon the enemy. On the upper part are cut some regular port-holes which show that, during civil war, cannons were planted there, which had a command of all the meadows. Near the port-holes are excavations, evidently intended for the reception of balls and powder. Collins, in quoting from Drayton's Barons' War, says, "This wonderful passage had been hewed and dug during the Danish invasion, by some of the Saxon kings, for the better security in case of a siege". And, indeed, in times of peace it was useful, for it afforded a direct communication with the corn-mill, malt-kiln, and brew-house of the garrison in the Rock yard, now called Brewhouse Yard. About seventeen yards above the lower entrance to this spacious vault is the entrance to a dark and narrow passage, which branches off to the right, and formerly led by secret doors to the keep of the old castle, in which were the state apartments. This has long been thought to be the passage through which Sir William Eland, in 1330, conducted the young King Edward III when he seized Lord Mortimer, and brought him out of the castle, and was afterwards called Mortimer's Hole, in memory of that unfortunate nobleman, a name which is erroneously given to the principal vault. All the entrances to these passages are now walled up. In October 1330, [others say about Michelmas, i.e. 29th September] the King's Court or Parliament came to Nottingham where, in the parlance of the time, they parleyed. Mortimer and Isabella resided at the heavily defended Nottingham Castle because they were in fear of their lives. Edward with his wife of two years, Philippa of Hainault, and his infant son, the future Black Prince lodged in the town, while Mortimer and Isabella remained in the castle, protected by Welsh mercenaries and 180 knights. Thus Isabella and Mortimer were well protected while for extra protection Isabella slept with the door keys under her pillow. However, there was one key of which she was unaware. Edward prince regent needed to surprise them. Edward had heard a rumour that his Mother Queen Isabella was with child, the father being Sir Roger Mortimer. The speculated child was potentially a rival king to Edward and thus he had to act decisively. In the dead of night on 19 October, the king, led by the castle's constable William de #Eland1 with 24 men entered Mortimer & Isabella's bed chamber This makes 26 in all, is this the basis of Edward III's 26 members of the original Garter Knights? They arrived at a thicket in the park to the west of the castle. 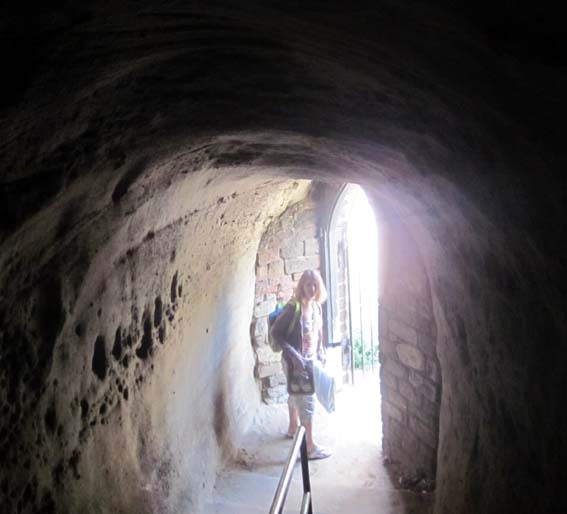 In the dark, they failed to meet up with their fellow conspirators, but undaunted, they proceeded with their task, entering the castle through a 'postern in the park'. Then, according to one account, they 'mounted the stairs leading to the upper bailey and entered the hall where the queen was sitting in council'. As the conspirators burst in, two of the queen's supporters cried out and tried to protect Mortimer. They were struck down and Mortimer was overpowered as he tried to arm himself and raise the alarm. By morning, he was on his way to London, and the castle had been secured for the king. The Nottingham Parliament was adjourned to Westminster. The following month, Mortimer was executed at Tyburn [approximately where Marble Arch lies today, not far from Harrod's!],. He was survived by his wife Joan, by whom he had 11 children. Isabella was forced to forfeit her estates, but the substantial annual allowance of £3,000 she received from the king enabled her to live very comfortably until, towards the end of her life, she joined the Poor Clares. She has not enjoyed a favourable press since 1327, and is still widely known by the appelation given to her by the poet Thomas Gray -- the 'She-wolf of France'. The capture of Roger Mortimer at Nottingham Castle in 1330 was the culmination of almost a quarter of a century of rebellion and murders. He is considered to be the 'greatest traitor'6 of the kingdom. The allegations were that he tried to kill the young Edward III., seduced Isabella the Queen of England, invaded England, captured Edward II, probably ordered his death and tried to cover this up. 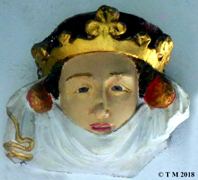 No doubt Isabella was party to Mortimer's scheming, but Edward III could not bring himself to execute his own mother, so he had her kept in great comfort at Castle Rising in Norfolk from where, despite popular folklore to the contrary, she had reasonable freedom to travel. 1. The tunnel appears to lead from the castle west towards where the hunting park was sited in Edward III's reign. 3. The 'Mortimer's Hole' of today is not oriented west towards the park but towards the south-east and 'The Trip to Jerusalem' public House. 4. 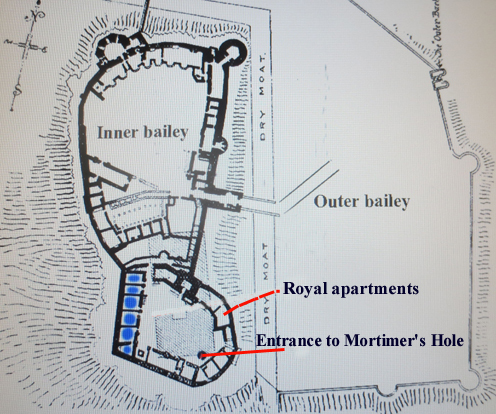 The present day so-called 'Mortimer's Hole' was known to Mortimer and Isabella and was not 'secretly known' at all. Its upper entrance was located in the inner ward (part of the upper or inner bailey) of the castle, a courtyard, surrounded by a hall and rooms wherein the royal entourage was domiciled. Shown as solid lines are the location of the original walls of Nottingham Castle now mostly lost. The faint building partly within the inner ward is the present building. exhorts him to deal justly with these persons and to admit witnesses, so that vengeance may have no place in the proceedings taken. Should any grave matter be proved against them, the pope begs the king to remember that mercy is shown to those that show mercy ; and hopes that the accused will return to their fealty. (f.40.) To the same. The pope heard on the third of this month that the king was not showing signs of filial affection to his mother, queen Isabella. Should she have done anything to justify the king's behaviour to her, the pope exhorts him to remember what his mother has done for him, and what enmity and ill will she has provoked against herself in his service, and begs him to show mercy, so that he himself may find it in the day of judgment. To the same. Duplicate of the letter on (f.39d.) sent in case the former should be lost. commending him for this, urges him to acquiesce in the pope's exhortations. for him, his goodwill towards her should be restored. To William, lord of Montacute, to the archbishop of Canterbury,and to John, bishop of Winchester. The like. The small group who backed the coup, were subsequently given rapid advancement. * Henry the earl of Lancaster with the active assistance of two members of his household. * Edmund? William Montague's brother who became a bishop. * Richard of Bury, Edward III's tutor who was the keeper of the privy seal was made Bishop of Durham in 1333 and chancellor in 1334. * William Clinton [Fiennes] who later became warden of the cinque ports and 1st and only earl of Huntingdon in his line. * Robert Ufford who became a steward of king Edward III's household and was made Earl of Suffolk. * Hugh Turplington7 and Richard Monmouth8 died defending Mortimer at Nottingham Castle. The early years of Edward II's reign were bedevilled by quarrels with the barons who were disturbed as his father Edward I had been by his (possibly homosexual) infatuation with Piers Gaveston. As soon as he ascended the throne in 1307, Gaveston, son of a Gascon noble, returned from exile, was made Earl of Cornwall and was appointed guardian of the kingdom when the king departed for France to marry Isabella, the daughter of Philip IV and reputedly one of the most beautiful women of her time. The indignant nobles combined to compel Edward to banish Gaveston, and he was sent away twice, but by Christmas 1311, he was back with the king. The earls took up arms, besieged Gaveston at Scarborough and captured him. Then, in 1312, a group of them -- led by Thomas, earl of Lancaster, the king's cousin and the richest noble of them all -- sentenced him, on dubious grounds, to death for treason. Edward never forgave those whom he held responsible for his friend's execution. The victory of the Scots at Bannockburn  two years later added to the king's humiliation. As a result of this defeat, he was forced to give in to the de facto take-over of government by Lancaster, the man he blamed for Gaveston's death. Between 1315 and 1317 the young King Edward gradually formed a group of allies from among the aristocracy, and by 1318, he was in a position to reassert his authority. However, the following year, his inadequacy as a military leader was demonstrated again with the Scots' capture of Berwick which, with Bannockburn, removed virtually every trace of his father's conquests in the north. He also showed himself still susceptible to the blandishments of an arrogant and greedy favourite - this time, Hugh Despenser. The latter's predations, especially in the Welsh Marches, allowed Lancaster - despite a personality so alienating thaat all his previous allies and his wife had left him to lead a widespread anti-Despenser movement that, in 1321, resulted in civil war. Lancaster's popularity was already waning again, he had made a political error in seeking Scottish aid when he was defeated at Boroughbridge. Six days later, Edward had him executed for treason. It had been almost 250 years since a man of his rank had been put to death for rebellion, but the king, determined to avenge Gaveston, would not be stopped. There followed more executions and a reign of terror. After destroying their principal opponents, Edward, Despenser and the latter's son set about enriching themselves with scant regard for law or justice. When Charles IV of France seized Edward's territories in that country, the English king sent Charles' sister Isabella who after Gaveston's death had managed to bear Edward four children, including the future Edward III, who now accompanied her to effect an amicable arrangement. She despised her husband, hated the Despensers and now fell in love with Roger Mortimer who, condemned to life imprisonment for rebellion, had escaped from the Tower in 1324 and fled to the French court. In Paris, Isabella became Mortimer's mistress. 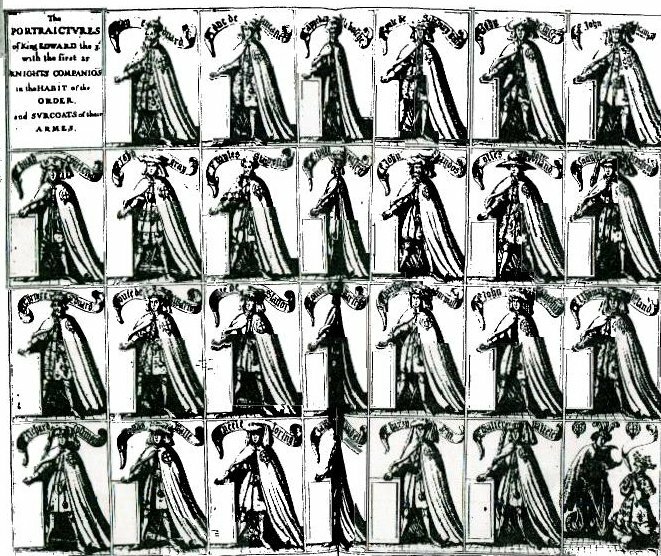 When she refused to return to England, it became clear to the population, among whom she enjoyed a great deal of support, that the Despensers' ascendancy had led to the complete alienation of their queen. In September 1326, Isabella and Mortimer landed on the Suffolk coast with a small force of malcontents. The Despensers were executed. Edward, who was so unpopular by then that no one would obey his orders, fled but was captured and taken to Kenilworth. In January 1327, Parliament accepted a damning - and largely accurate indictment of his rule, concluding that, since he was 'incorrigible without hope of amendment', he should be deposed. Edward abdicated in favour of his 14-year-old son and was imprisoned in Berkeley Castle in Gloucestershire. However, while he lived, he remained a potential threat to Mortimer and Isabella, and attempts to rescue him sealed his fate. It was later announced that he died at Berkeley on 21 September. Almost certainly he was murdered, perhaps in a particularly gruesome fashion. The young king still did as his mother told him, and for three years, she and her lover Mortimer were the virtual rulers of England. However, they were soon faced with gathering resentment of their ostentatious life-style and policies. 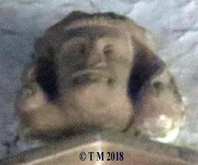 The avaricious Mortimer exploited his position hugely, taking the bulk of the Despenser estates in south Wales and then, in 1328, giving himself the title Earl of March. Edward II's murder, the humiliating treaty of Northampton in which they recognised Robert Bruce's kingship and renounced all claims to Scotland, in return for £20,000, most of which found its way into their private coffers -- and the execution of the king's uncle, Edmund, Earl of Kent, were all laid at their door. Edward III, now 17 and increasingly asserting himself, was more than aware of the destruction of his kingdom being carried out by his mother and her lover. 1. Sir William de Elland/Eland may have been the son of Sir John de Eland of the Wakefield Court Rolls of 1294. In the 1331-3 W.C.R's John de Eland is mentioned as the steward of Lord Warrene's estate, The manor of Wakefield. William de Eland was the constable and deputy of the Governor of Nottingham Castle, Richard de Grey, Lord of Codnor. Later a Sir John Elland of Elland, [Lord Warenne's steward] in 1341 escalated what became known as the Elland Feud. Earl of Salisbury, William Montague. 3. John of Gaunt, the fourth son of Ed.III, had the Honour of Pontefract and his arms are depicted in the east window of Elland Parish Church. Elland is one of the Townships [villages] within the Honour of Pontefract. number was fixed at twenty-six. 1. Schama, Simon. A History of Britain, BBC Publications, 2000. 2. Le Baker, Geoffrey, E.M. Thompson [Ed. ], Chronicon, Oxford, 1889. 3. Johnson, Paul, The Life and Times of Edward III, Weidenfeld & Nicolson, London, 1973. 4 Alexander, Marc. A Companion to the Folklore, Myths & Customs of Britain. Sutton Publishing 2002. 5. Weir, Alison. Queen Isabella: Treachery, Adultery, and Murder in Medieval England. 6. Mortimer, Ian. The Greatest Traitor: The Life of Sir Roger Mortimer, Ruler of England:1327-1330. 9. Bliss, W.P., (ed. ), Calendar of Entries in the Papal Registers Relating to Great Britain vol. II, p. 1305-1342. (1895) - sometimes referred to as Papal Letters oor Papal Regesta. Copyright © Tim Midgley, 2000. Revised 6th December 2018.